Travel Choices is a three year initiative funded through the Government’s Local Sustainable Transport Fund (LSTF) to support the economy of Dunstable, Houghton Regis and Leighton Buzzard by providing residents and businesses with an improved choice for local journeys reducing car use, cutting costs and improving health. For further information please click the button below. 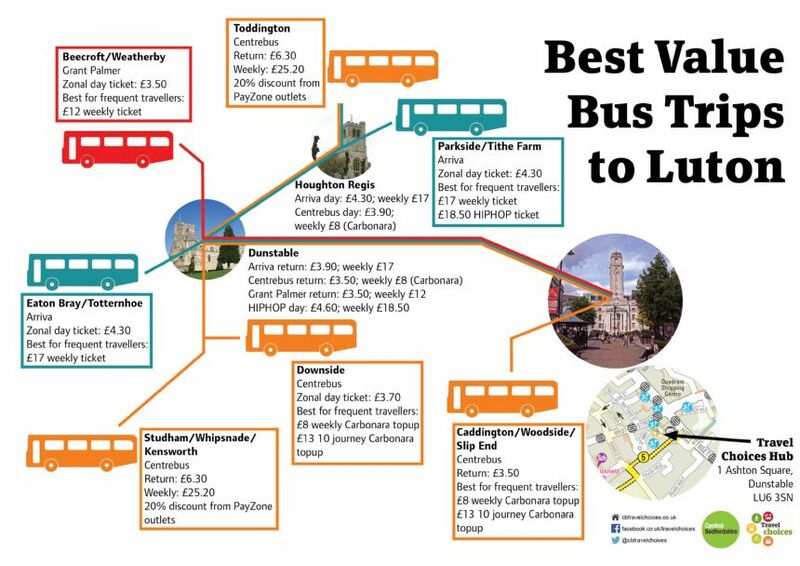 Want to know the best value bus trips into Luton?